• You accidentally deleted your server parameter file. • You want to view an old copy of the spfile. 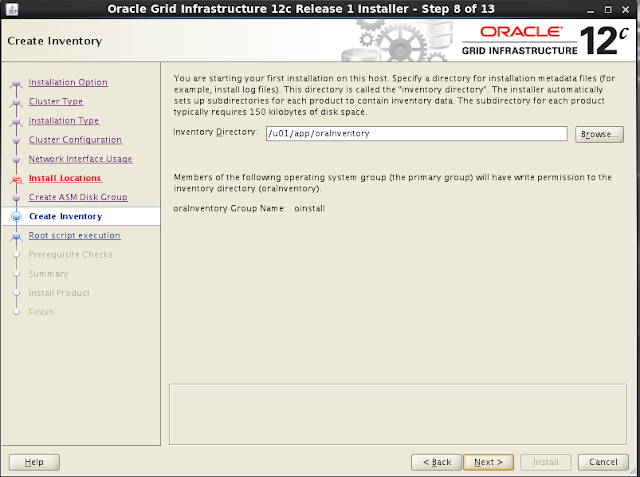 • You can’t start your instance with the current spfile. 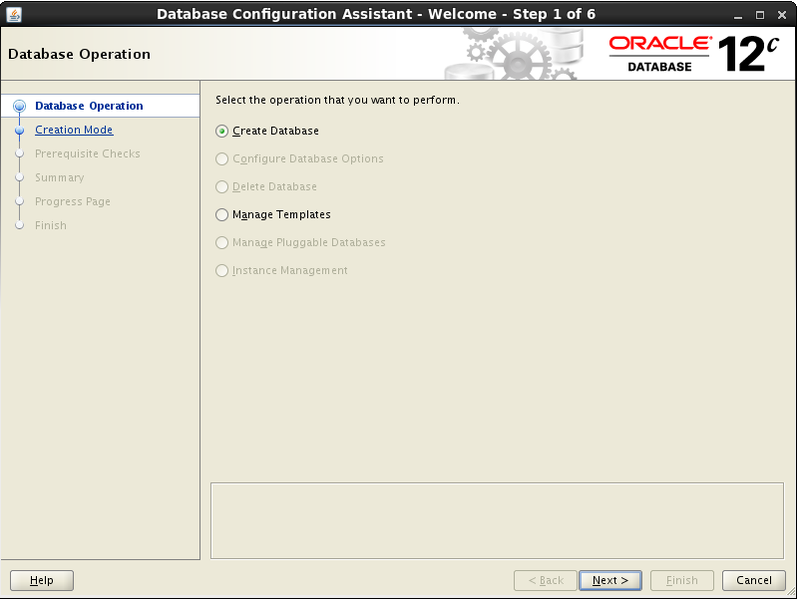 following every backup and any database structural change by using the configure command. When does the SPFILE gat backed up with AUTOBACKUP tuned on? 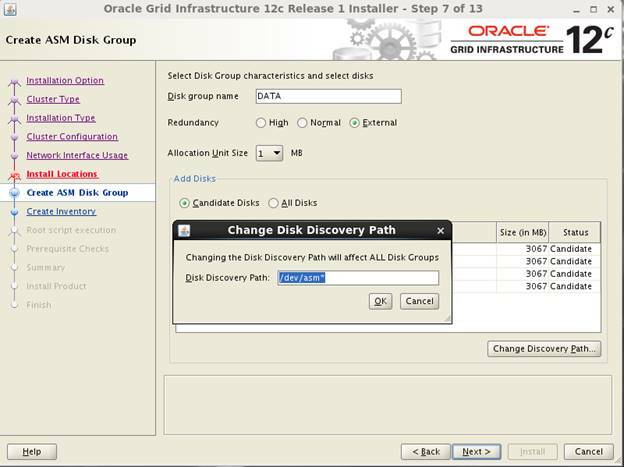 When automatic backup is triggered by a structural change, an Oracle server process (not an RMAN process) will automatically create the auto backup of your control file. Where does the SPFILE autobackup goes? You’ve just enabled the auto backup of the control file feature, but you don’t know where the files are physically being written. You want to ensure that these critical backups are being written to a location you know about so that you can maintain and monitor that location. 1. If you have enabled a fast area as well as the auto backup of the control file, then RMAN will write the backup to the directory defined for the fast area. 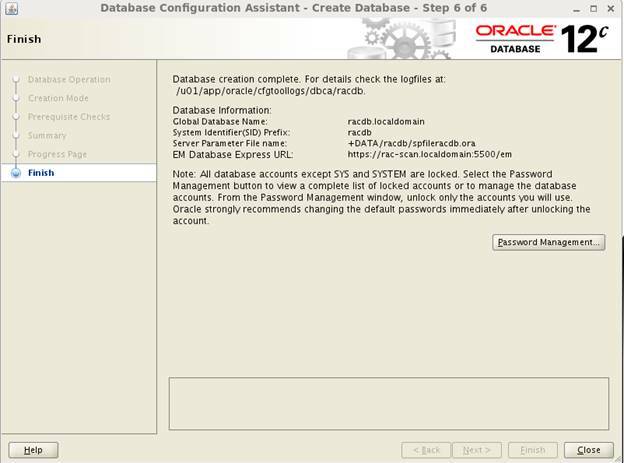 By default, RMAN creates these files as Oracle managed files. 2. 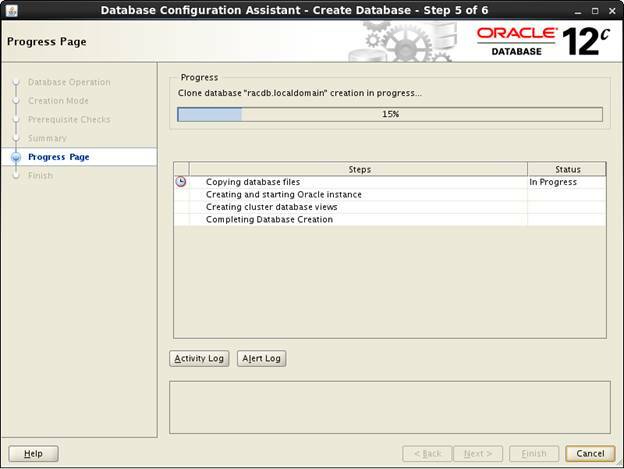 If you haven’t enabled a fast recovery area, RMAN will create the auto backups in an operating system–specific location ($ORACLE_HOME/dbs on Unix and %ORACLE_HOME%\database on Windows). 4. You can override where RMAN will write the auto backup control file and its name using the configure command. Note : The format variable %F yields a unique combination of the database ID, day, month, year, and sequence. 6. To list backup of spfile use command : "list backup of spfile;"
If you’re using a recovery catalog, then restoring the spfile is fairly straightforward. 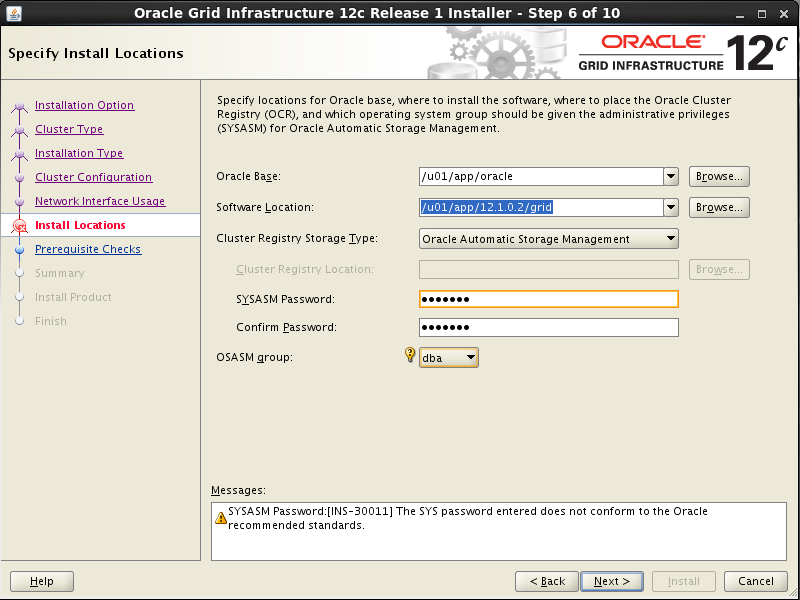 In this case we assume that auto backups of the spfile are going to the default location. The default location depends on your operating system. 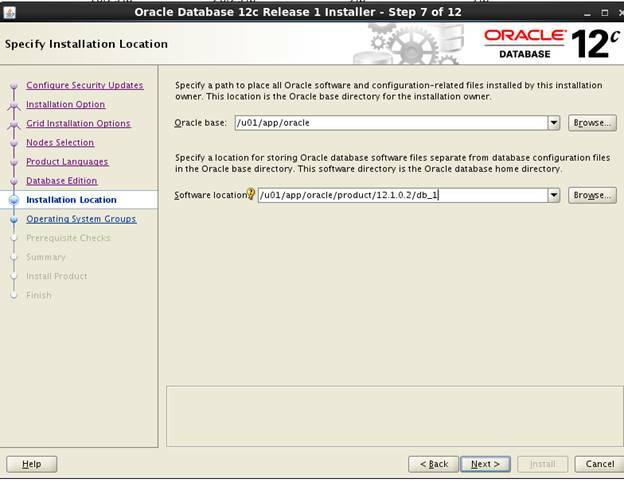 For Linux/Unix, the default location is ORACLE_HOME/dbs.On Windows systems, it’s usually ORACLE_HOME\database. 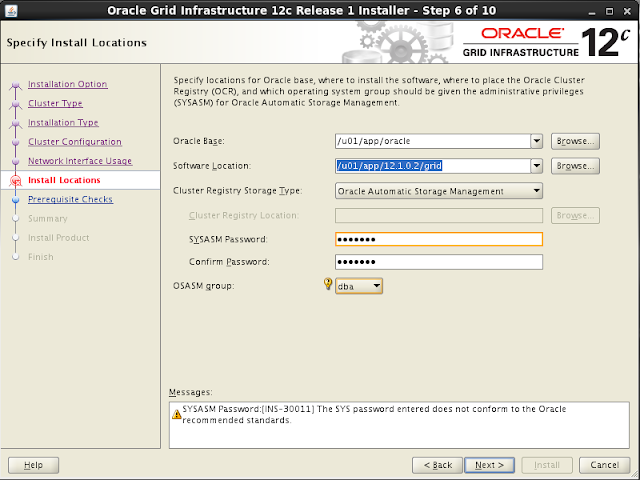 If you’re either using an FRA or have the auto backup of your control file configured to a nondefault location, then the spfile will not be backed up to what Oracle calls the default location. In these situations, you have to specifically tell RMAN where to retrieve the backup from. If you’re using an FRA, your spfiles will be backed up in an auto backup directory in the FRA. You’ll have to find that directory and backup piece name before you can restore your spfile.You’ll also need to know your database identifier before you can proceed. Suppose you are not sure which backup file contains the SPFILE backup. So to work around this, we tried to fool RMAN by creating the directory structure when using a FRA. We create the directory structure RACDB/autobackup/2018_01_30 under the to level location /u01/12.1.0.2/backup/ and copy the backup pieces to this location. The device on which the file resides is probably offline. If the file is a temporary file, then it is also possible that the device has run out of space. This could happen because disk space of temporary files is not necessarily allocated at file creation time. Action: Restore access to the device or remove unnecessary files to free up space. But in my case file id reported by error is unknown file id. 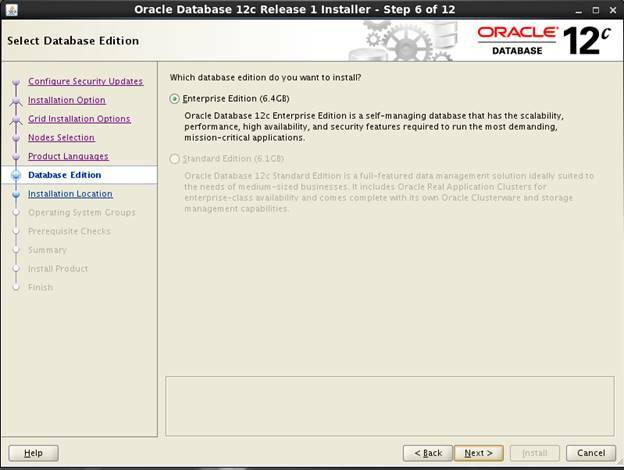 First we'll check "DBA_DATA_FILES" to find out if issue is with any datafile. This error is being reported on a temp file. For TEMPFILES, the file numbering starts after the value of db_files. Run the following query to get the file name. So i got issue with my tempfile 1. We need to check this tempfile and take actions accordingly. 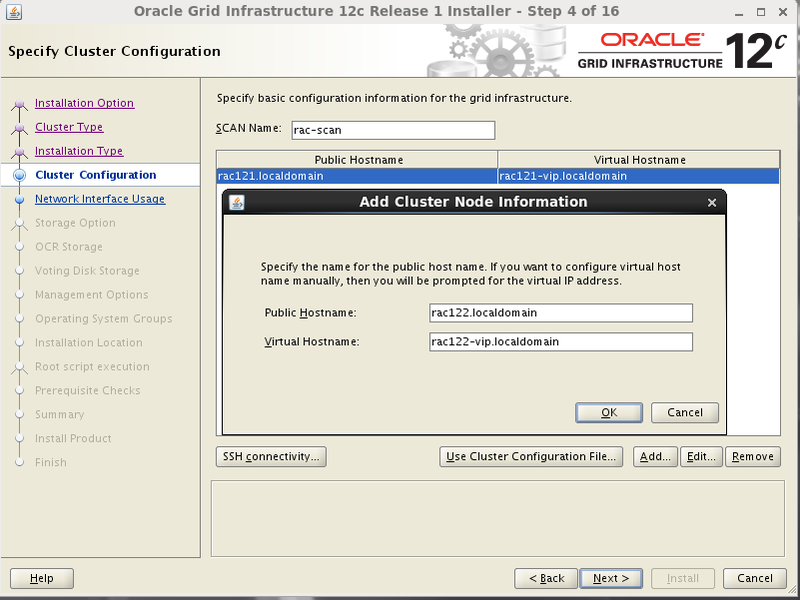 We can use srvctl to failover the running services to another instance, before shutting down the instance. In this demonstration we'll use "-failover" option to move services to another node before shutting down the node. 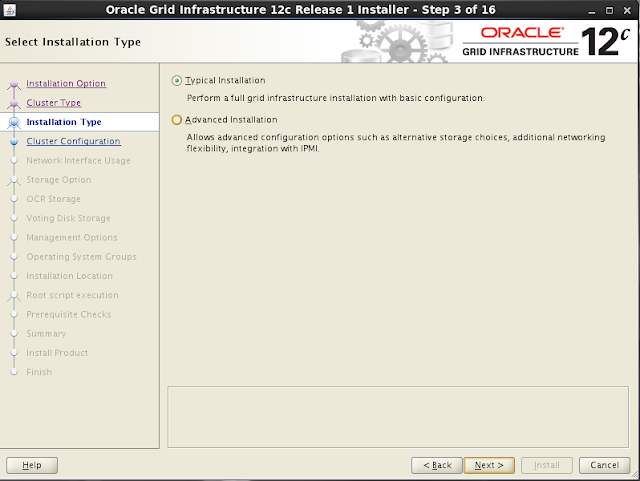 So without "-failover" option, you will not be able to stop instance if any service is running on that instance. In next post we'll see more details on service failover. In this post we'll try to distinguish the rules of service failover to another instance. In 11.2.0.4 or above (12.1. *), the service will not failover but stop because SQLPLUS abort is detected by the database agent as PLANNED_OFFLINE with label "Instance Shutdown, Stable", thus clusterware does not failover the services. For a real crash, it would be OFFLINE with "Abnormal Termination". 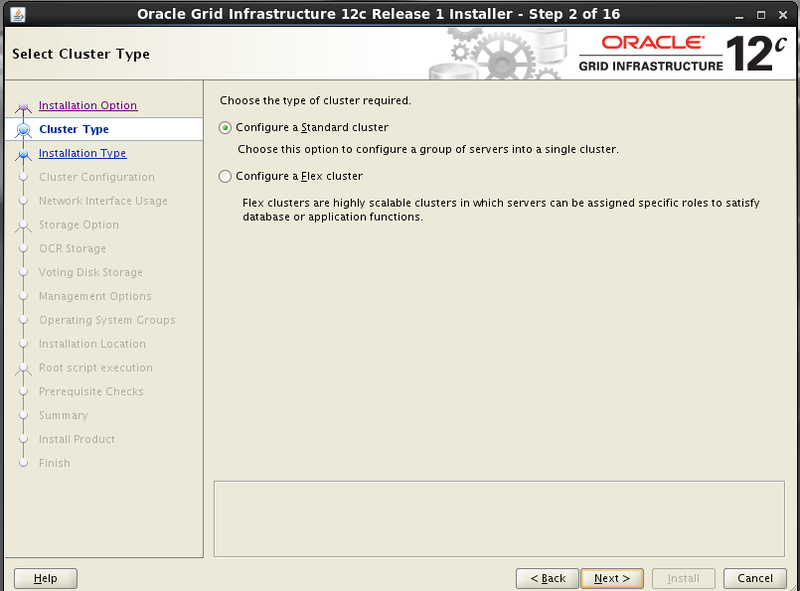 In pre-11.2, the service will failover to available instance. 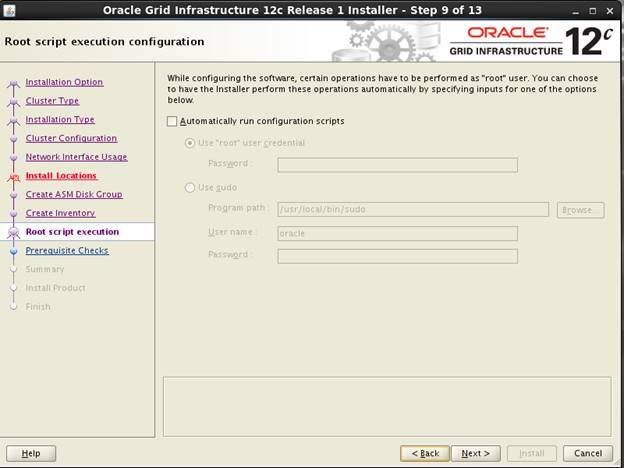 In 11.2, you need to use "-f " option if you want service failover to available instance when stopping instance using srvctl. 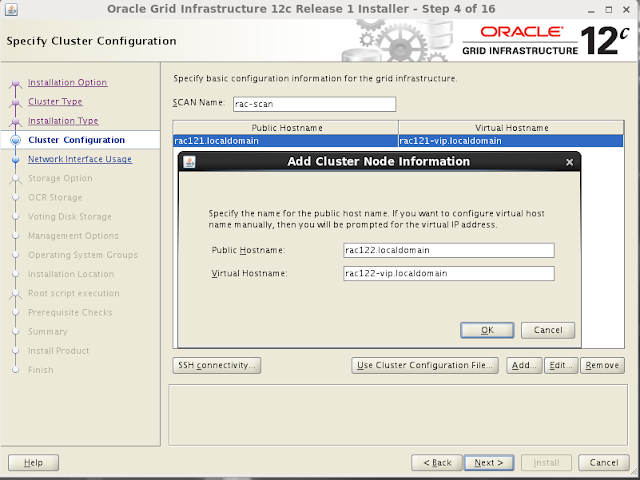 You may relocate service to another instance before stopping instance through srvctl. e.g. 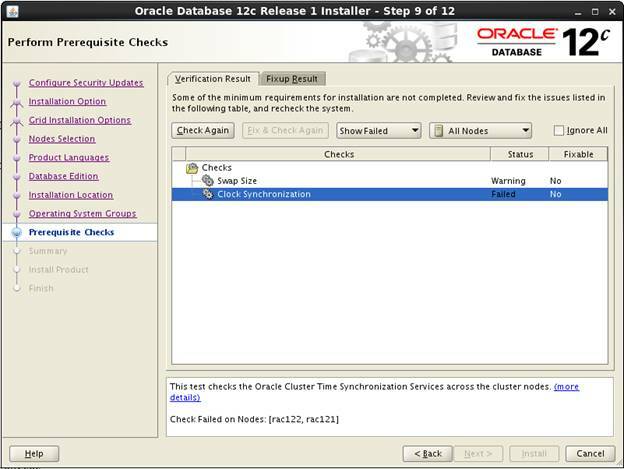 "srvctl relocate service -d racdb -s temp_serv -i racdb1 -t racdb2"
In 12c, you need to use "-failover" option to failover service to available instance. 2) If you want to stop both instance AND services running on the instance, use '-force' option. 3) If you want to stop instance but failover the services to another instance, you need to use '-failover' option instead '-force'. Click Here to get more details on this. 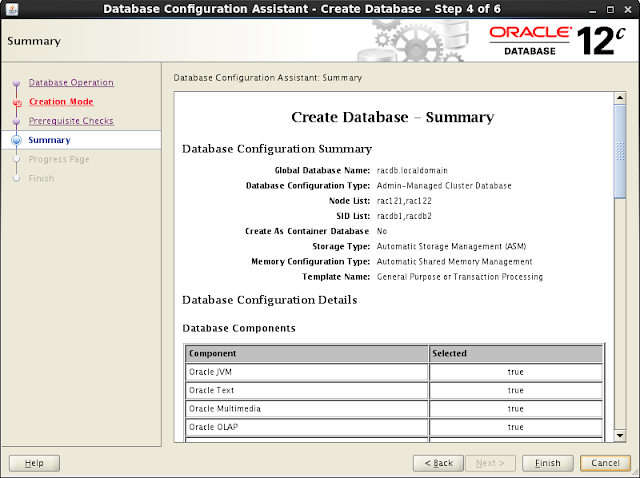 You might be in a situation where you are administering a database that supports an OLTP workload. An application regularly creates global temporary tables and a large number of transactions are performed on them. You notice that performance is degraded because of excessive generation of undo due to a large number of transactions on the global temporary tables. 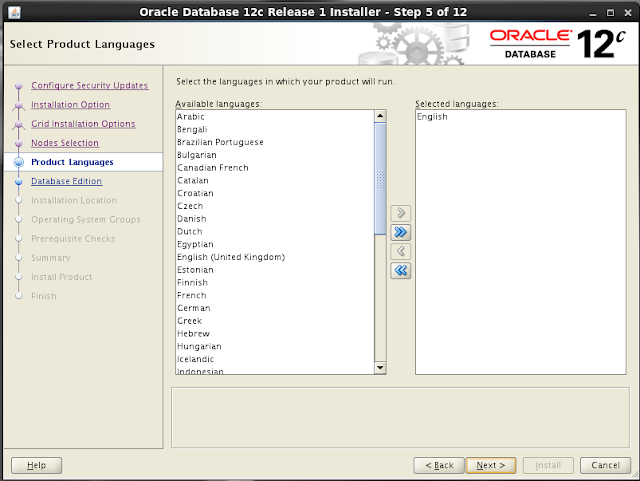 Oracle database 12c Release 1 (12.1) introduced the concept of temporary undo, with this the undo segments for global temporary tables can be stored in the temporary tablespace. Database should be in read-write mode to writing into undo tablespace. 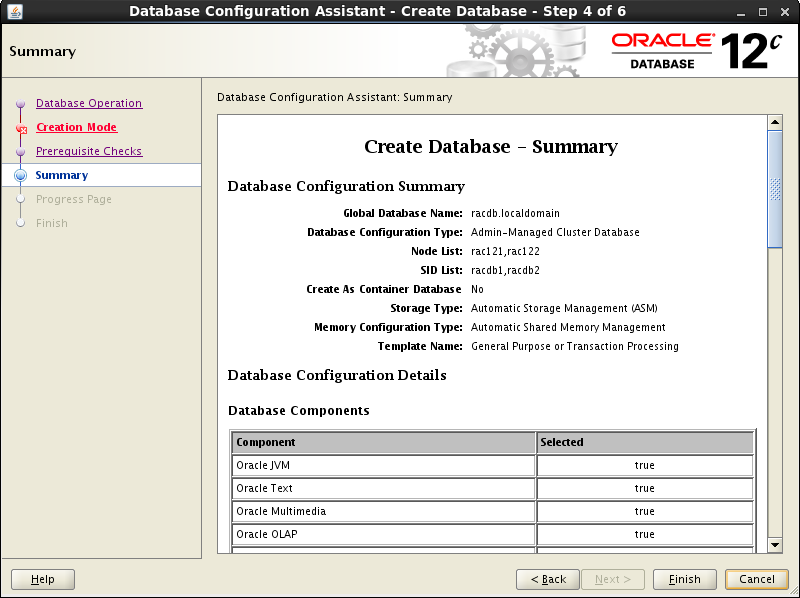 So global temporary tables can't be used in read-only databases and physical standby databases. Transient data ( contained by global temporary tables) is not required in database recovery scenarios. So protecting them with redo represents an unnecessary additional load on the system. When temporary undo is enabled, it might be necessary to increase the size of the temporary tablespaces to account for the undo records. When a session uses temporary objects for the first time, the current value of the TEMP_UNDO_ENABLED initialization parameter is set for the rest of the session. Therefore, if temporary undo is enabled for a session and the session uses temporary objects,then temporary undo cannot be disabled for the session. Similarly, if temporary undo is disabled for a session and the session uses temporary objects, then temporary undo cannot be enabled for the session. 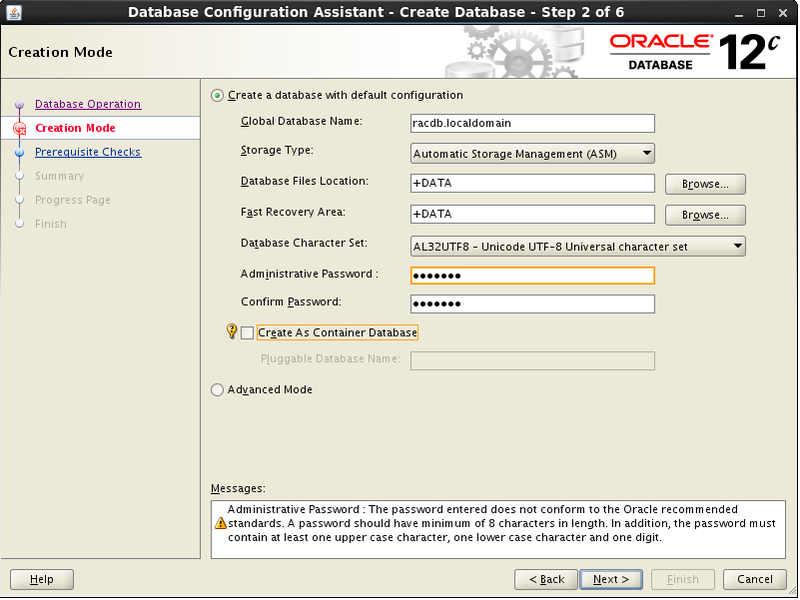 Temporary undo is enabled by default for a physical standby database with the Oracle Active Data Guard option. You can use the TEMP_UNDO_ENABLED initialization parameter to separate undo for temporary tables from undo for persistent tables. When this parameter is set to TRUE, the undo for temporary tables is called temporary undo. Temporary undo records are stored in the database's temporary tablespaces and thus are not logged in the redo log. When temporary undo is enabled, some of the segments used by the temporary tablespaces store the temporary undo, and these segments are called temporary undo segments. Create a global temporary table for testing. Load some data into the GTT, then checks the redo and undo usage. This example is not using temporary undo. SYS@racdb1> -- Check undo used by transaction. So this insert produces 614 blocks of undo, which is why the statistics show a redo size of 5.9 million bytes of redo, generated to protect the undo. Now we'll enable temporary undo,checks the redo and undo usage. SYS@racdb1> -- Check temporary undo usage. Here we can see only a single byte of conventional undo is generated, which results in approximately 980 bytes of redo. The UNDOBLKCNT of the V$TEMPUNDOSTAT view shows us 648 blocks of temporary undo have been used. So here with help of "Temporary Undo" we can address the issue causing by excessive generation of undo due to a large number of transactions on the global temporary tables. 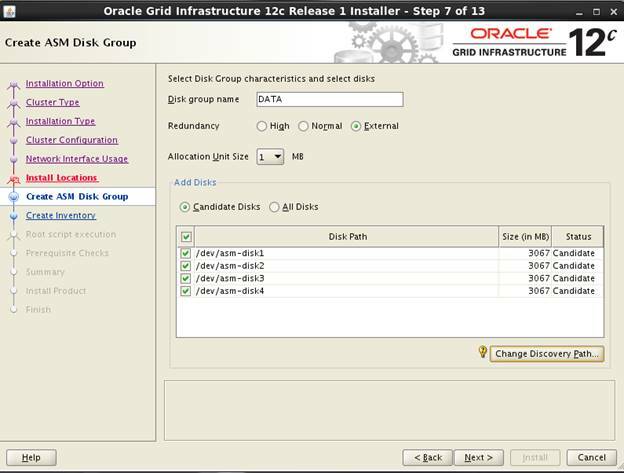 The Data Recovery Advisor tool was added to RMAN in Oracle Database 11g.This tool automatically detects problems with your database that may require you to perform restore and recovery operations. The Data Recovery Advisor will list failures, give you advice on how to resolve issues, and allow you to push the button that instructs RMAN to run the commands required to fix the problem. The Data Recovery Advisor stores its information outside the database in the Automatic Diagnostic Repository (ADR). 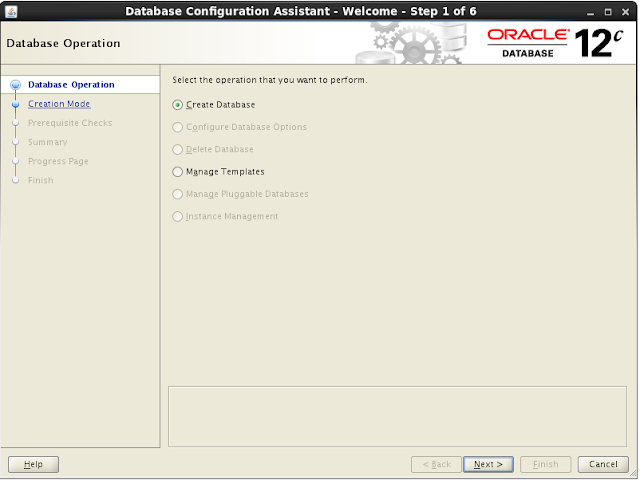 This allows you to run the list failure command even when your database is started in nomount mode and is also not dependent on the availability of the recovery catalog (if using one). You can determine the location of the base directory for the ADR by viewing the diagnostic_dest initialization parameter. You’ve experienced a media failure. You want to get advice from the Data Recovery Advisor about how to restore and recover your database. The Manual Checklist section gives you advice for manually resolving the issue. The Automated Repair Options section will list the location and name of a repair script that contains RMAN commands to resolve the problem. At this point, you may want to open another terminal session and inspect the contents of the repair script (with a text editor such as vi or Notepad). By analyzing the script you can gain a greater understanding of the failure and how RMAN intends to resolve the problem. If you want RMAN to automatically repair the failure, then run the repair failure. It’s recommend that you run the repair failure command only after you have run the list failure and advise failure commands. Repairing the problem should be the last step performed. You should use the Data Recovery Advisor to repair failures only after you thoroughly understand what the failure is and what commands will be run to repair the failure. 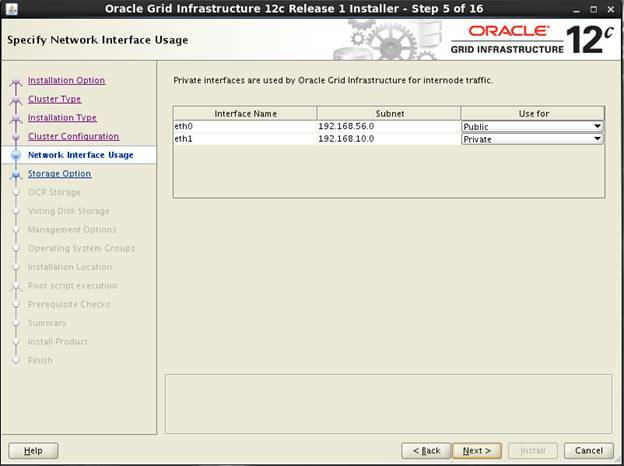 If you want to get through all steps of the Oracle RAC installation and your laptop or desktop computer has 8 GB or more of RAM (16 GB is recommended), then this is entirely feasible using Oracle VirtualBox as demonstrated in this article. You can get a running RAC system which can host a small test database. The created system is not, and should not be considered, a production-ready system. 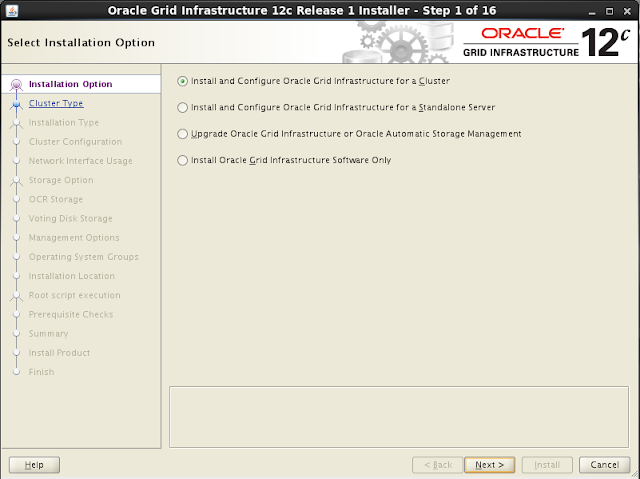 It's simply to allow you to get used to installing and using RAC and test various administration procedures. 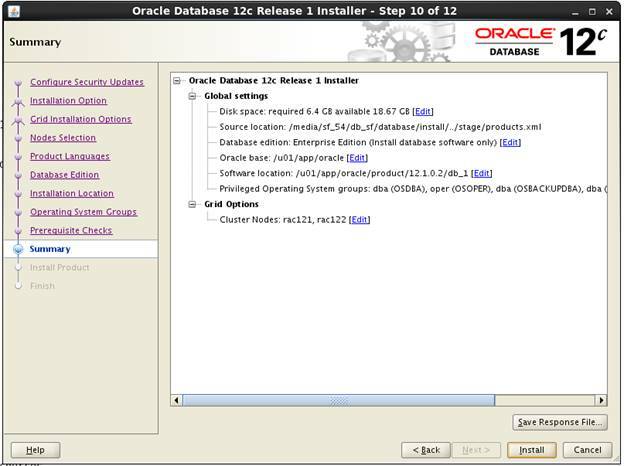 This article uses the 64-bit versions of Oracle Linux, version 6.4, and Oracle 12c Release 1, version 12.1.0.1.0. Using VirtualBox you can run multiple Virtual Machines (VMs) on a single server, allowing you to run both RAC nodes on a single machine. In addition, it allows you to set up shared virtual disks. 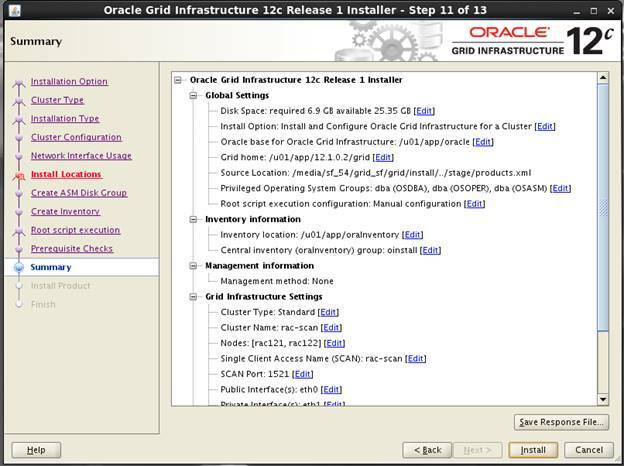 The finished system includes two guest operating systems, two sets of Oracle Grid Infrastructure (Clusterware + ASM) and two Database instances all on a single server. The package name will vary depending on the host distribution you are using. If you are doing this on windows system then, you have to just execute *.exe file. Once complete, VirtualBox is started from the menu. We must define two virtual RAC nodes. We can save time by defining one VM, then cloning it when it is installed. Move "Hard Disk" to the top of the boot order and uncheck the "Floppy" option, then click the "OK.
With the new VM highlighted, click the "Start" button on the toolbar. 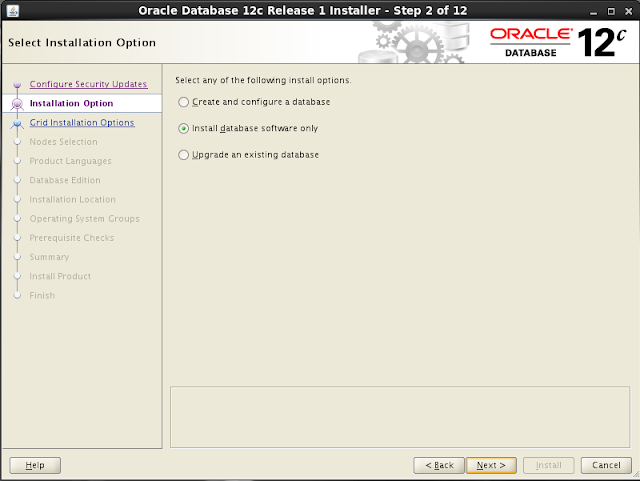 On the "Select start-up disk" screen, choose the relevant Oracle Linux ISO image and click the "Start". 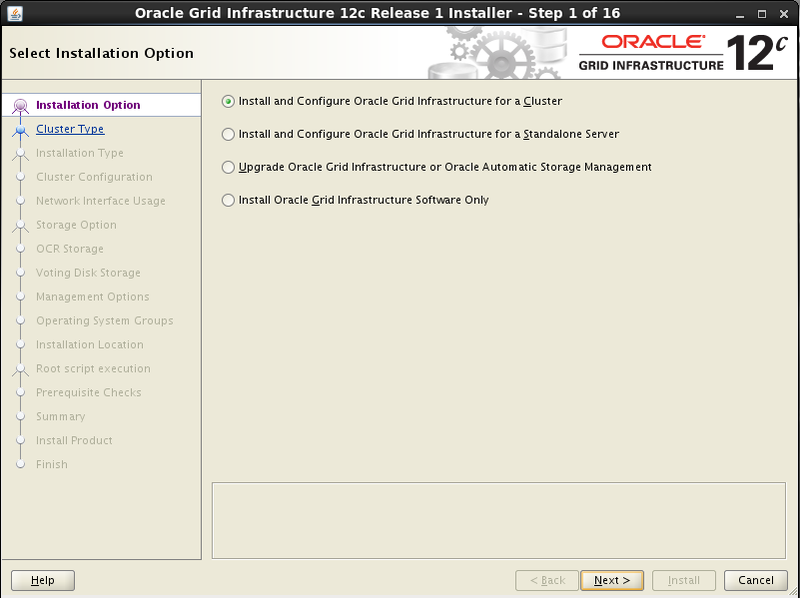 Select the storage option "Basic Storage Devices" for the installation, then click the "Next" button. Click on Yes, discard any data and proceed to next. 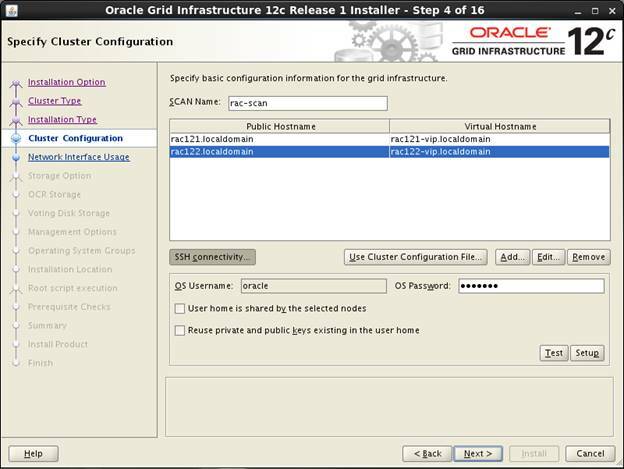 Enter a fully qualified host name - rac121.localdomain, then click the "Configure Network" button. Highlight the relevant connection and click the "Edit" button for each connection. Select the relevant time zone by clicking on your nearest city on the map. Click on the "Next" button to proceed. Check the partitioning type you require. 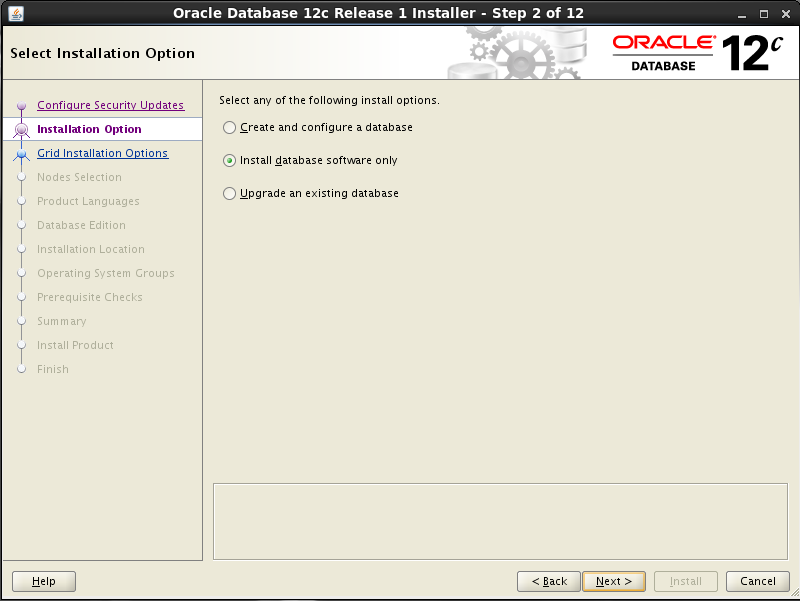 If you want to amend the default partitioning layout, check the "Review and modify partitioning layout" option. Click the "Next" button. 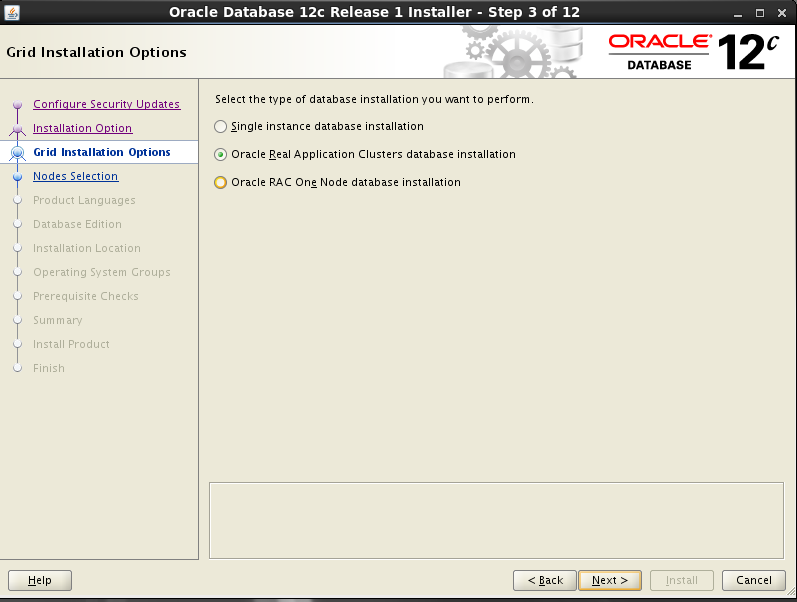 The installer will list the default partitioning scheme for your size disk. Amend them as required and click the "Next" button, then the "Format" and "Write changes to disk" buttons on the following dialogs. 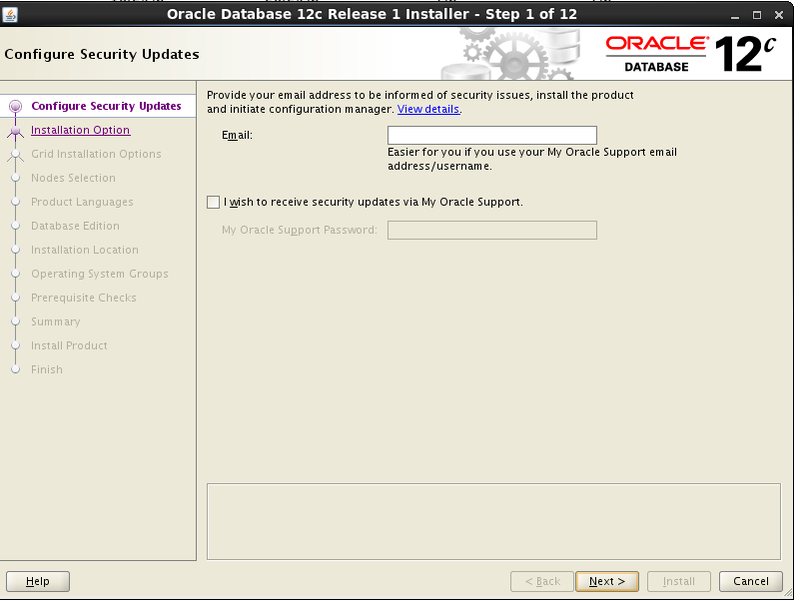 Accept the "Basic Server" installation and check the "Customize now" option, then click the "Next" button. Pick the desired ULN Registration option, then click the "Forward" button. In this case we will pick the register later option. Click the "No thanks, I'll connect later." button. Enter the details for system user, then click the "Forward" button. Next, you are presented with the login screen. Log in by clicking on the user on the login screen. To turn off the firewall do the following as the "root" user. So your machine is ready. You are free to change the IP addresses to suit your network, but remember to stay consistent with those adjustments throughout the rest of the article. Let’s perform some check son machine. Then check the ping again. Now you have to disable Adapter 3 (Devices >> Network >> Network Settings) and delete eth2 (System >> Preferences >> Network Connections). This step was necessary in my lab as scan were not working without this. 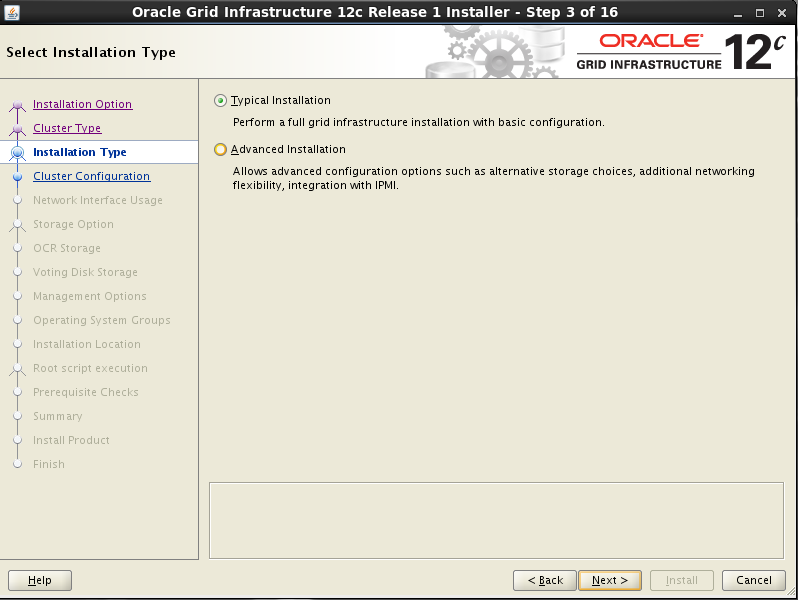 Perform the following steps whilst logged into the "rac121" virtual machine as the root user. 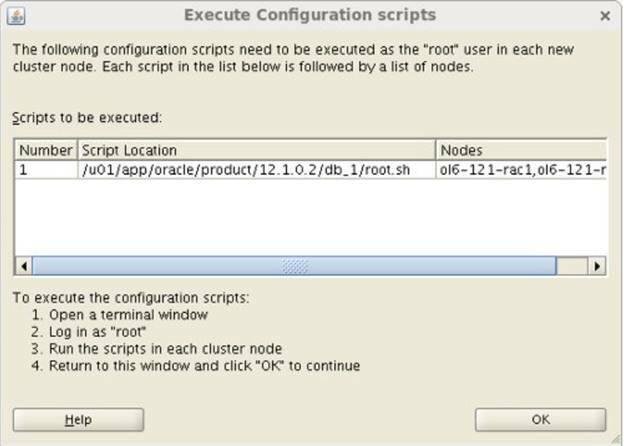 Either configure NTP, or make sure it is not configured so the Oracle Cluster Time Synchronization Service (ctssd) can synchronize the times of the RAC nodes. In this case we will deconfigure NTP. Let's do a reboot of the VM at this point to make sure all the changes have taken effect. Click on the "Devices > Install Guest Additions" menu option at the top of the VM screen. Shut down the "rac121" virtual machine using the following command. On the host server, create 4 sharable virtual disks and associate them as virtual media using the following commands. You can pick a different location. Start the "rac121" virtual machine by clicking the "Start" button on the toolbar. When the server has started, log in as the root user so you can configure the shared disks. The current disks can be seen by issuing the following commands. Use the "fdisk" command to partition the disks sdb to sde. KERNEL=="sd?1", BUS=="scsi", PROGRAM=="/sbin/scsi_id -g -u -d /dev/$parent", RESULT=="1ATA_VBOX_HARDDISK_VB5a97a6d6-443d513c",NAME="asm-disk1", OWNER="oracle", GROUP="dba", MODE="0660"
KERNEL=="sd?1", BUS=="scsi", PROGRAM=="/sbin/scsi_id -g -u -d /dev/$parent", RESULT=="1ATA_VBOX_HARDDISK_VBebd1447e-07dfd77f",NAME="asm-disk2", OWNER="oracle", GROUP="dba", MODE="0660"
KERNEL=="sd?1", BUS=="scsi", PROGRAM=="/sbin/scsi_id -g -u -d /dev/$parent", RESULT=="1ATA_VBOX_HARDDISK_VB6d4e6597-6510505c",NAME="asm-disk3", OWNER="oracle", GROUP="dba", MODE="0660"
KERNEL=="sd?1", BUS=="scsi", PROGRAM=="/sbin/scsi_id -g -u -d /dev/$parent", RESULT=="1ATA_VBOX_HARDDISK_VB15e37173-5a00f121",NAME="asm-disk4", OWNER="oracle", GROUP="dba", MODE="0660"
Manually clone the "rac121.vdi" disk using the following commands on the host server. C:\Program Files\Oracle\VirtualBox>VBoxManage clonehd "C:\My Drive\Virtual Disks\rac121.vdi" "C:\My Drive\Virtual Disks\rac122.vdi"
Create the "rac122" virtual machine in VirtualBox in the same way as you did for "rac121", with the exception of using an existing "rac122.vdi" virtual hard drive. 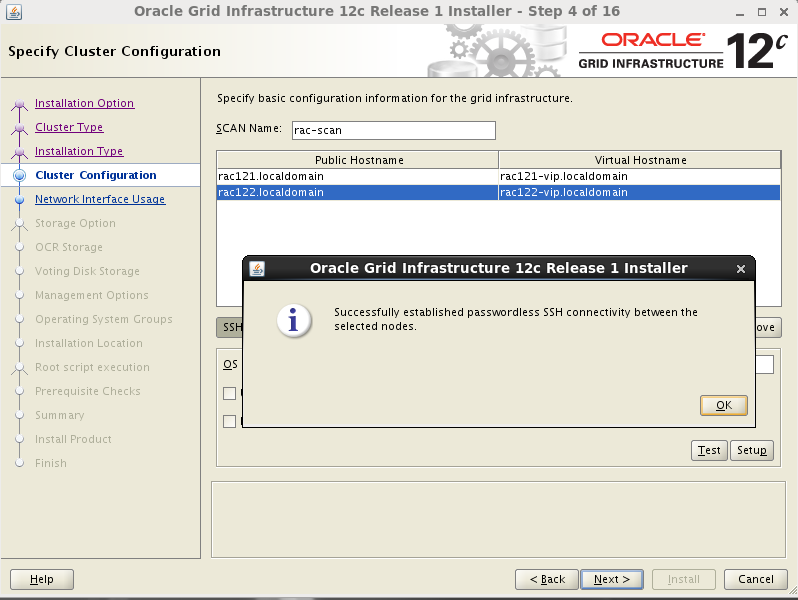 When the VM is created, attach the shared disks to this VM. 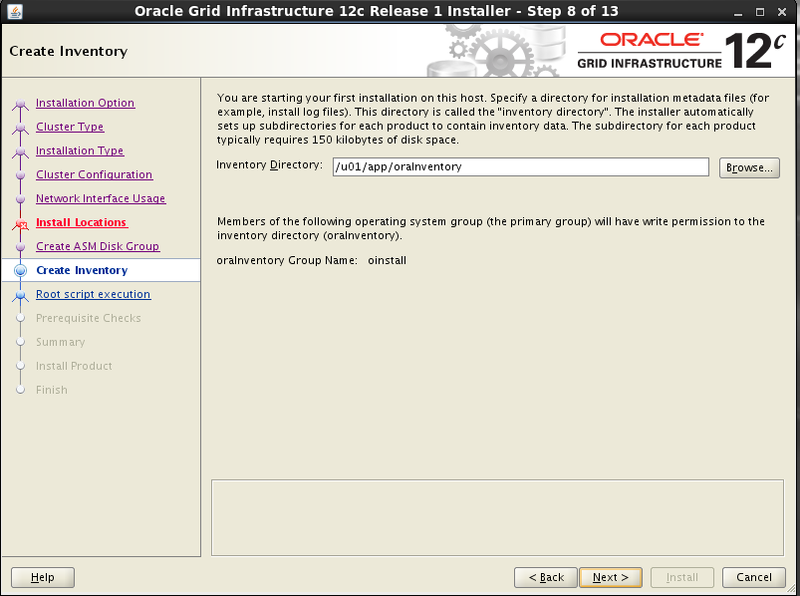 Start the "rac122" virtual machine by clicking the "Start" button on the toolbar. Ignore any network errors during the startup. Log in to the "rac122" virtual machine as the "root" user so we can reconfigure the network settings to match the following. Start "Network Connections" tool (Main menu | System | Preferences | Network Connections). Edit eth0 and eth1 interfaces and set in IPv4 addresses 192.168.56.72 and 192.168.10.2 correspondingly. Now we need to change MAC address for all three interfaces. At the moment we have two VMs with the same set of MAC addresses. We can run one machine or another, but not both of them at the same time because MAC address must be unique. No changes will be made to rac1, we will pick up three new unused addresses and set them for eth0, eth1, and eth2 in rac2. The easiest way to do that is to change just last two characters of the address. We are going to change them to '00'. If the last two characters are already '00', then change to something else, '01', for example. Just make sure that these addresses don't collide with the MAC addresses of rac1. In running rac2 node, open "Network Connections" and edit MAC address in the "Wired" tab. The screenshot below shows where to set MAC address. Don't forget to change MAC addresses for all three interfaces. Please note that your setup will have a different set of MAC addresses because they are random-generated by VirtualBox. Write down the new MAC addresses for all three interfaces. Save new settings pressing "Apply" button, then shutdown the machine. After shutdown, return to the VirtualBox Manager, select rac122 VM and edit "Network" settings. Make same changes to the MAC addresses. Don't forget to change MAC addresses for all three adapters. Restart the "rac122" virtual machine and start the "rac121" virtual machine. When both nodes have started, check they can both ping all the public and private IP addresses using the following commands. Check the UDEV rules are working on both machines. In previous versions of OL6 the "/etc/udev/rules.d/99-oracle-asmdevices.rules" file copied between servers during the clone without any issues. For some reason, this doesn't seem to happen on my OL6 installations, so you may need to repeat the UDEV configuration on the second node if the output of the following command is not consistent on both nodes. 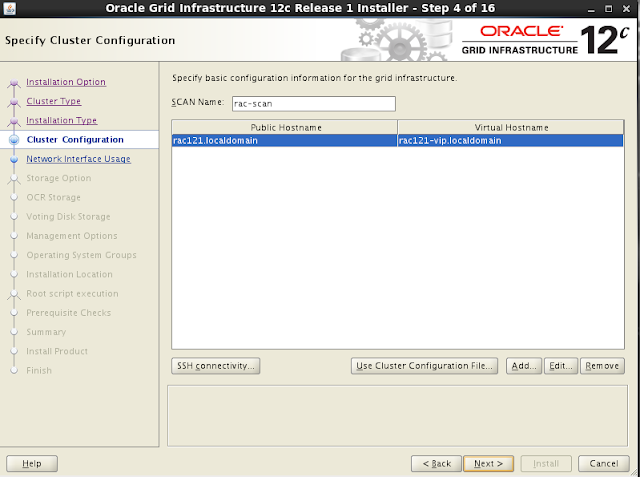 Login to "rac121" as the "oracle" user (better to avoid using "su -" command, might have problems) and start the Oracle installer. 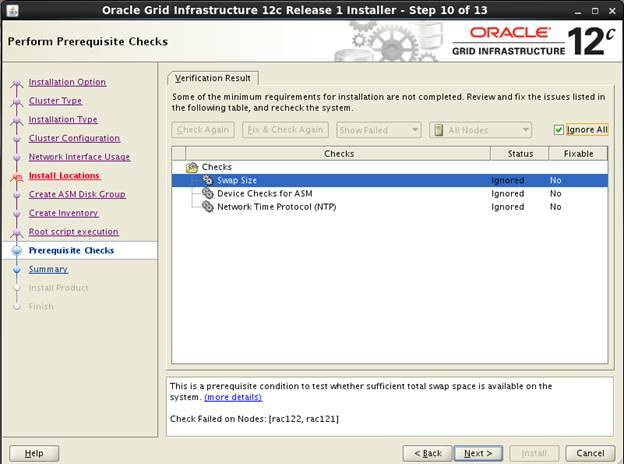 On the "Specify Network Interface Usage" screen check the Public and Private networks are specified correctly. Press the "Next" button. Enter "/u01/app/12.1.0.2/grid" as the software location and "Automatic Storage Manager" as the cluster registry storage type. 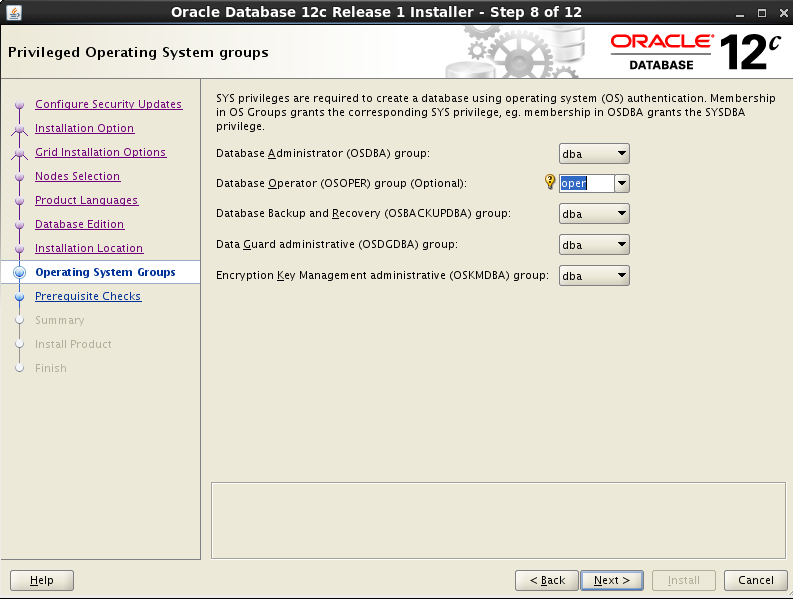 Enter the ASM password, select "dba" as the group and click "Next". Wait while the prerequisite checks complete. If you have any issues use the "Fix & Check Again" button. Once possible fixes are complete, check the "Ignore All" checkbox and click the "Next" button.It is likely the "SwapMemory" and "Device Checks for ASM" tests will fail for this type of installation. This is OK. If you are fine with the summary information, click the "Install" button. 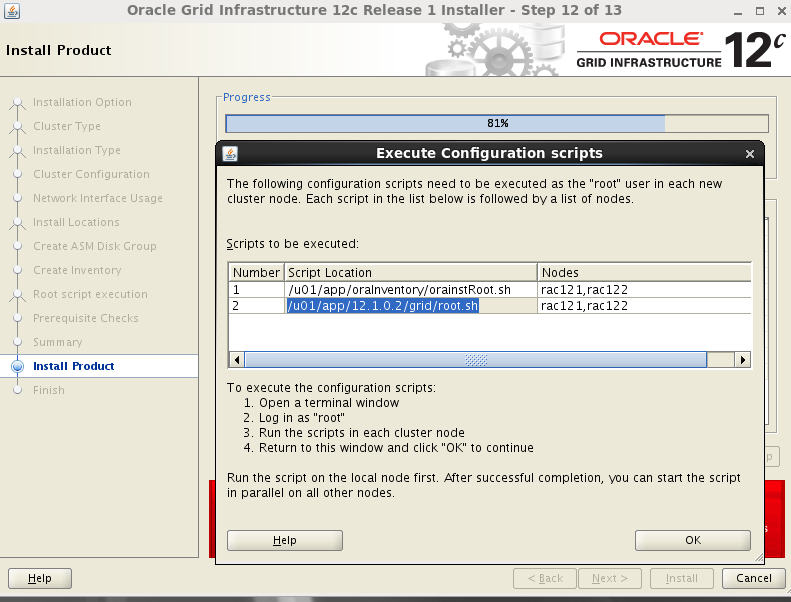 Wait while the installation takes place and When prompted, run the configuration scripts on each node. Wait for the configuration assistants to complete. If any of the configuration steps fail you should check the specified log to see if the error is a show-stopper or not. Select the "Language" and "Enterprise Edition" option, then click the "Next" button. 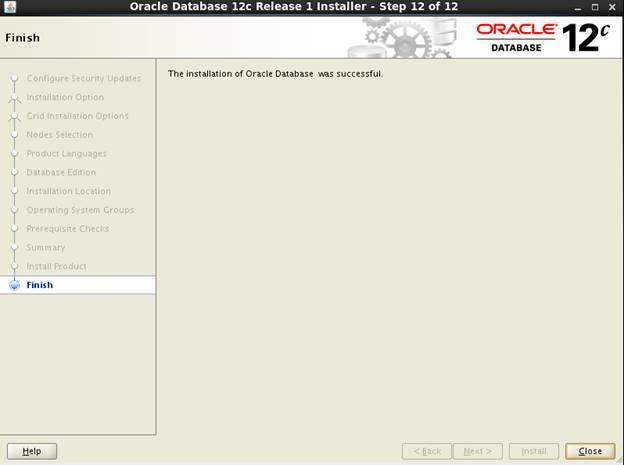 Make sure both virtual machines are started, then login to "rac121" as the oracle user and start the Database Creation Asistant (DBCA). 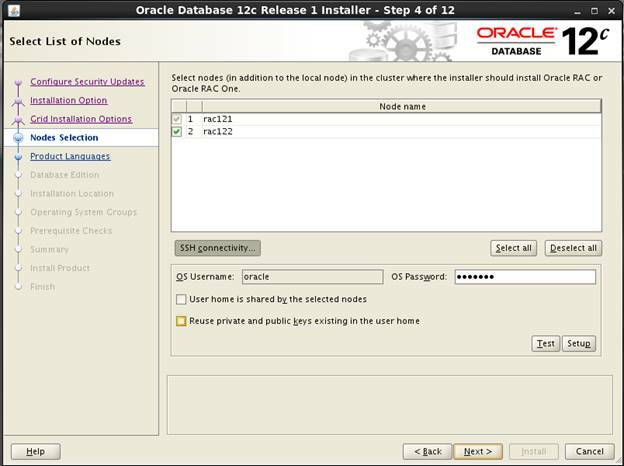 Here your RAC database "racdb" is ready with two instances "racdb1" and "racdb2" on nodes "rac121" and "rac122". If you see any issues while doing above tasks, feel free to post them in comment section.